Tortilla Tossin’ Player of the Game: Jarrett Culver was the best player, but there were so many great performances. Culver led all scorers with 19 points on 7 of 12 from the floor, 3 rebounds, 1 assist, 2 steals, and 2 turnovers. Culver did hit 2 of 5 from beyond the arc, which is good for him and good to see him hit some shots. And truthfully, Culver was so good offensively, from driving to the basket, to his mid-range game, he was incredibly tough to stop. He was just hitting from everywhere. Defender of the Game: This is becoming the Tariq Owens vs. Matt Mooney award and I thought that Owens affected the game with his blocked shots and general length more than Mooney. Owens had 2 blocks but also had 11 points, 7 boards to lead the team, 3 assists(! ), and 2 turnovers. Multi-Purpose Player of the Game: Davide Moretti scored 9 on 3 of 5, including 3 of 4 from the three-point line, 2 rebounds, 8 assists, 1 steal, and no turnovers. 8 assists?!?! 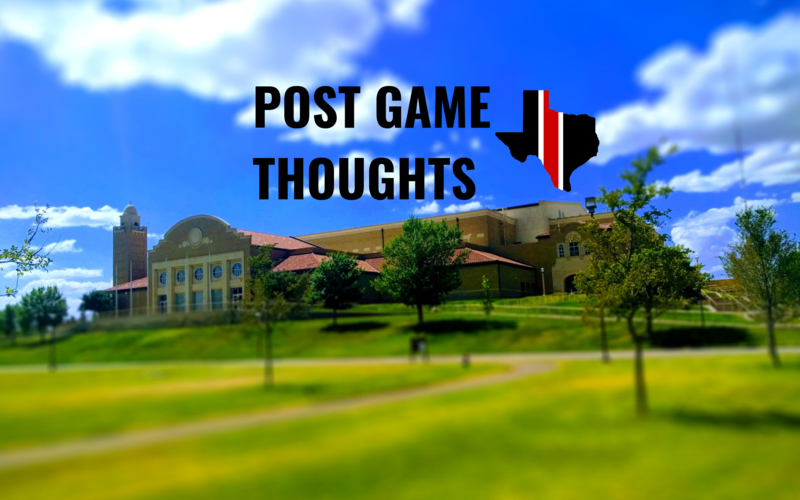 I’m not sure when this game was done, but it seemed like it was essentially out of reach at some point in the first half, but then Texas Tech went on some sort of 15-0 run and led 61-25 with 14 minutes left in the game. Texas Tech put in their walk-ons with 7 minutes remaining and Texas Tech had doubled-up Oklahoma State, 68-34. Strangely, Oklahoma State did not put in their walk-ons and Oklahoma State came back getting the score back to 73-47 with 2:58 remaining. Beard then put in the starters again and the game ended 78-50. Texas Tech made 12 three-pointers, 12 of 25 overall and were 9 of 14 in the first half and 3 of 11 in the second half. I think that was a season high for three-pointers. Meanwhile, on the other side of things, Oklahoma State could not hit an outside shot really, they made 2 of 11 three-pointers in the first half and only made 33% of their shots in that first half. Texas Tech was so good offensively, making 59% of their shots and 64% from the aforementioned three-point line. Matt Mooney was feeling it from deep, making all 5 three-pointers and was 5 of 8 overall, for 15 points, 4 rebounds, 2 assists, 1 steal, and no turnovers. Speaking of turnovers, Texas Tech only had 7 turnovers for the day. They were just so efficient offensively. And to add to this, Texas Tech was scoring in droves off of Oklahoma State’s turnovers, scoring 23 off of the Cowboy miscues. The ancillary guys were all pretty good too. In just 16 minutes, Deshawn Corprew went 4 of 6, grabbed 3 boards, and had 8 points. Kyler Edwards isn’t really shooting the ball very well except for the Oklahoma game where he went 3-3, but before that game against West Virginia, he was 1 of 3 and against Kansas was 1 of 6. Against Oklahoma State, Edwards was 2 of 9. Norense Odiase had 8 points, 3 boards, 1 turnover, 1 steal, and 1 turnover. Brandone Francis had 3 points and wasn’t really shooting the ball, but it really wasn’t needed. Oklahoma State really only has 6 players and they try to zone teams, but when opposing teams go 9 of 14 from beyond the arc that plan sort of goes out the window. Oklahoma State is just scrambling at that point. Best part of the night was the Sutton family reunion back in Gallagher-Iba! Owens darn near murdered a couple of people with some terrific dunks, one was an alley-oop from Culver (it is at 2:08 in the highlight video) and the other was a nice pass by Francis (2:25). Baylor is up next at home in Lubbock at 1:00 p.m.